The water-bus passed under the wooden Accademia bridge and along the white Peggy Guggenheim collection palazzo. 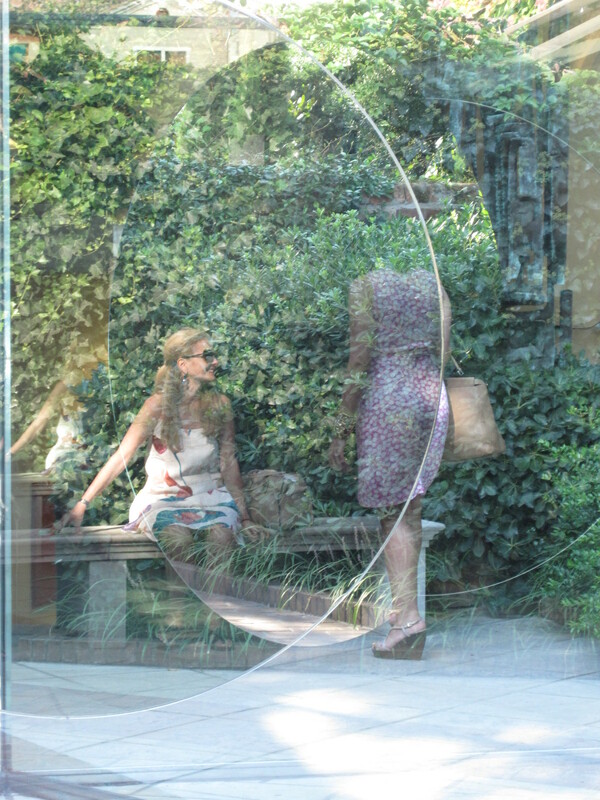 It was another of her favorite museums–a home turned into its owner’s modern art collection. She remembered visiting in school, and being mesmerized by a Clyfford Still painting titled “Jamais”, her teenaged self felt a deep connection to the starkness of the gash, the idea of never. They were approaching the San Marco stop, where she would get off the water-bus with Selim’s Bric’s bag in tow, board a private launch, and check into his room at the Hotel Cipriani. Her legs seemed to shake more than usual walking down the gangway; she wished she could stop in at Harry’s for a quick, stiff drink–a negroni, maybe–something to fortify her for the coming evening. She couldn’t imagine how Selim would react. If he left her? If he left her, he would have left her, she thought. They had such an erratic relationship up to this point, it wouldn’t be surprising if it were to end. He could leave now with nothing invested. Go home to his wife and children. She had to tell him, and she had to tell him tonight. It would be dishonest not to. And she had had a hard enough time not telling him already, on the phone, when she could have sworn he could tell there was something wrong by the sound of her voice. She shivered on the end of the dock waiting for the launch to cross the lagoon, careful to keep the heels of her boots from slipping through the slats on the dock. On the launch, the captain gave her a cashmere throw for warmth as they sped across the lagoon. She huddled in the corner, looking back over her shoulder at the receding lights of San Marco. The familiar part of Venice, the part that she knew, was the part she was leaving behind. From here, everything was new to her. In the excerpt where Francesca and the Turk (Selim) are in the bar in Istanbul, they start talking about Venice, and particularly about an art museum there, Ca’Pesaro. Ca’Pesaro is a 17-century palazzo on the Grand Canal dedicated primarily to 19th and 20th-century Italian art. It does have a copy of Rodin’s “The Thinker”, as Selim remembers. As home of the Biennale, Venice is one of the best places in the world to see contemporary art, and since it is a city unlike any other (canals, gondolas, etc. 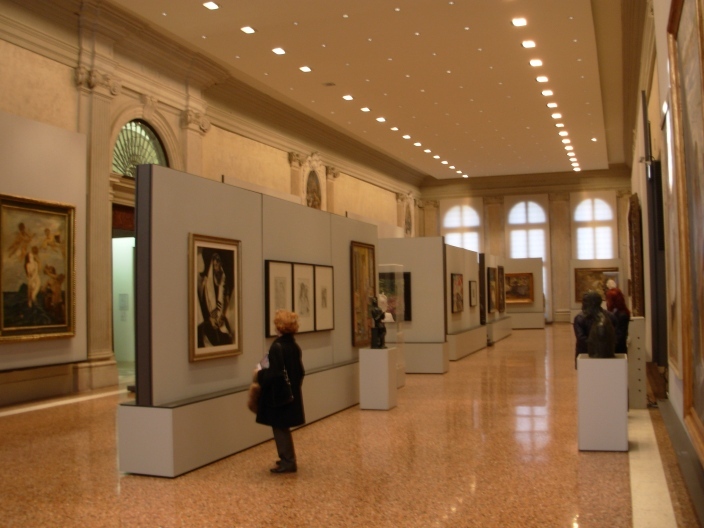 ), the format of the museums and galleries in Venice makes it an exciting place to see art. Ca’Pesaro is a perfect example–when Selim says he wandered into the museum by accident, it’s because the back of the museum, where the entrance is, opens up to a small alley near San Stae (and a great pizza place called Muro). Most of the city’s museums are in fascinating buildings: Punta della Dogana, Palazzo Grassi, and the Peggy Guggenheim Collection are among my favorites.